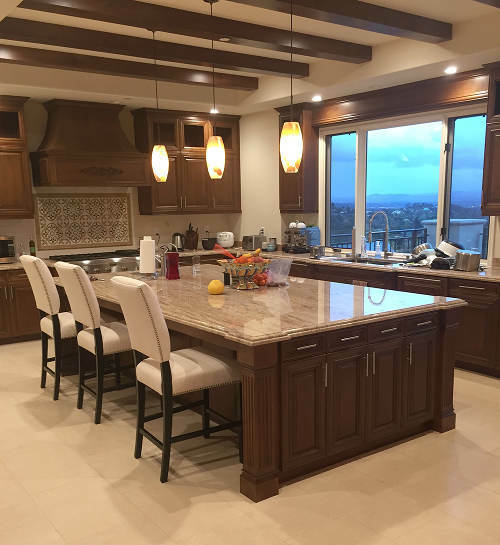 In In Costa Mesa or Irvine get free estimates on kitchen cabinets we do cabinet refacing, replacement, remodeling and custom cabinets for kitchens and bathrooms. We are qualified team and give the best price we can and can offer you the best solutions. Established in 1995, Cabinet Experts has become one of the most trusted home renovating companies in Southern California. We are a family owned and operated company who go the extra mile for you. Whether it is your home, office or closet that needs a fresh look, we do Bathroom remodeling, cabinet reface, Kitchen remodeling and custom cabinetry. The Original Cabinet Experts is here to help. With an A+ rating by the Better Business Bureau and proud members of the National Kitchen & Bath Association The Original Cabinet Experts is what you are looking for. When you choose us you are dealing with a Premier Kitchen Cabinet Fabricators and Remodeling Experts. Our friendly, knowledgeable staff will walk you through the whole process, present multiple design ideas and materials, so that you always know you’ve got what you want. We fabricate everything in-house, no cheap imports. We use top quality material and partner with the best suppliers of wood, stain, marble and tile. By employing only the most qualified designers, fabricators and installers you are guaranteed the best possible outcome every time. We committed to providing our consumers the best overall solutions. Solutions you can choose with confidence and that you can consistently rely on. We’ll provide you with great quality product, cabinets will be free from defects in material and workmanship under normal use. Now you can be even more assured of the great craftsmanship and quality products that you get from us.